The decision revolved around the executive council having tried to pass an amendment to the university’s codes to allow the extension of Singh’s term as VC, but this amendment turned out to be outside of the council’s powers, according to the high court. The purported amendment should have first been assented to by the university’s chancellor under HNLU’s establishing act, which had not been done. “Why the Executive Council was so hurry? Why the Executive Council proceeded in such a manner despite knowing fully the said legal position? Why the existing Vice-Chancellor of the University alone was authorised to meet the Chancellor of the University for assent of the so-called ‘proposed amendment’ which is going to be benefited to him only?" said the the high court bench of justices Goutam Bhaduri and Sanjay Agrawal in their judgment. The EC should have “refrained from doing anything at the cost of the reputation of the University”, they said. The judges therefore held that the HNLU chancellor’s order dated 2 December 2014 extending Singh’s tenure by five years, was based on “an illegal recommendation” and “as such, no right whatsoever would confer upon him”. The executive council’s recommendation on 6 September 2014 to extend Singh’s tenure would similarly “not be sustained as the Chancellor was not apprised with the actual facts by the University”, held the judges. The writ petitioner was HNLU assistant professor Dr Avinash Samal, who was represented by advocate Amrito Das and Abhyuday Singh. We have reached out to Samal and Sukh Pal Singh for comment earlier today by phone and messages. 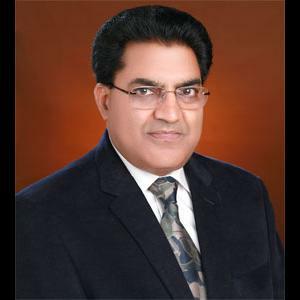 Singh had joined HNLU as VC in 2011 from Banaras Hindu University, where he had been professor of law. Singh had succeeded Paramjit Singh Jaswal, who had moved to RGNUL Patiala after three months in the job. The writ had been admitted in 2016. Congrats HNLU! It is amazing to see that you have Professors daring to stand up for your University. This is an exceptional blow to these tyrants. S.S. Singh ka PIB ka Dukhpal ka sabka badla lega re tera NLUites. Sukhpal Singh ka gang hai poora gang hai wahan. People should now take this up. Waiting for the Hon'ble Gujarat High Court to bring an end to Bimal Patel AKA BimPa tenure to an end. That shameless and impotent man has ruined GNLU. Let's bring down the tyrant. Will be interesting to know who were the EC members then; and the ones who actually voted on that fateful date. Also who was the Visitor? A continuing scam of NLUs is to have "big names" from the state, academia, bar and bench. On paper it suggests that rarely will things go wrong in an institution hosting so many important folks. The empirical and anecdotal evidence thus far suggests that NLUs are instead blessed with cabals. It is refreshing to see that the judges in Chhattisgarh HC called out one of the fat cats. Compare this with Calcutta bar and bench. Reportedly the soon-to-retire CJ is so busy arranging for a state sinecure that he along with other key EC members (who are equally busy securing perks from the state or honouring IOUs) have ensured a complete lockdown at NUJS. Anybody who knows somebody at Cal HC and NUJS will tell you that the CJ has ensured that no petition critical of its new interim VC reaches anywhere. Thus far we have seen a cabal of academic bureaucrats manipulating the system with help from relevant quarters in state and judiciary. But beginning with NLU Ranchi, now NUJS and possibly at CNLU, there is another form emerging where freelancing retired judges or judicial officers are sent in to seemingly clean up mess by an academic bureaucrat but instead prepare the ground for takeover by a coalition of power brokers representing state and judiciary. Kian, a few years back I had pointed out the defect in appointment, but your close relationship with the VC ensured that the comment was not published. You are on sale always were.